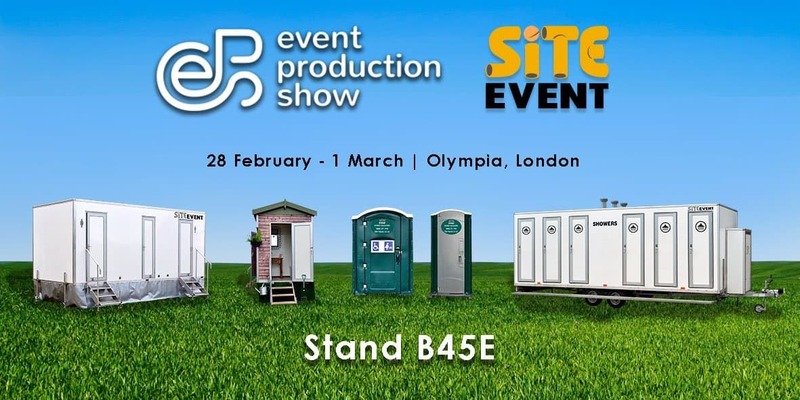 Site Event are excited to exhibit at The Event Production Show 2018. Find us at stand B45E at Olympia, London between 28 February and 1st March. Site Event will be exhibiting at The Event Production Show 2018 on Wednesday and Thursday. The Event Production Show is the leading event for the UK’s live event sector which will bring together full event infrastructure suppliers and the industry’s leading organisers for that all important face-to-face time. We can’t wait to talk to you about all our new products and how we can help with your event’s welfare and sanitation needs. Site Event’s friendly and expert team will be on hand to answer any questions and discuss how we can help you with your event. With eco loos, luxury and themed trailers, disabled loos, ticket booths and showers, we’re sure to be able to help! We can also offer other services, such as hand washing stations, event trackway as well as servicing to your toilet facilities. Join us at The Event Production Show 2018 to find out more about how we can help! If you are unable to attend The Event Production Show 2018 but are interested in our products, do not hesitate to give our friendly sales team a call on 0800 371 994. Alternatively, you can email us on the address at the top of the page or fill out an enquiry form below. We will get back to you as soon as possible!